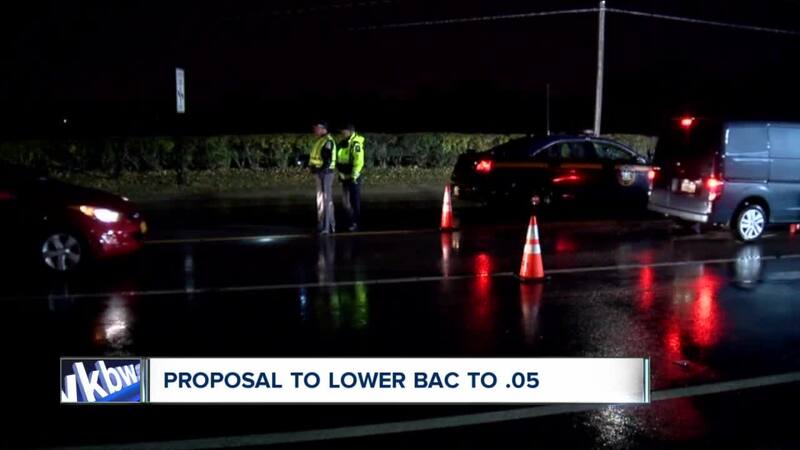 Proposal to lower BAC to .05. Hannah Buehler reports. NEW YORK (WKBW) — Some New York lawmakers are aiming to create tougher restrictions when it comes to driving drunk. A bill is currently circulating in the Transportation Committee to lower the legal blood alcohol content while driving from .08 to .05 percent. The legislation would also lower the limit for aggravated driving while intoxicated from .18 to .12 percent. "I think this piece of legislation which is for saving lives will be the way to go in New York State," said Assemblymember Felix Ortiz from Brooklyn. The National Transportation Safety Board has recommended that all states lower the DWI limit to .05 percent. Click here for more information on the legislation. Utah became first state to lower the legal driving BAC to .05 in December 2018. Arthur Pressman is a local defense and DWI attorney in Buffalo. He says much of the problem currently is that people don't know how much is too much when it comes to drinking and driving. Pressman has a free BAC calculator on his website that gives you some idea. "Obviously I don't condone someone drinking and driving I think if you drink responsibly you can drink but you have to know when to stop," Pressman said. Ortiz hopes this bill will pass by the end of the year.